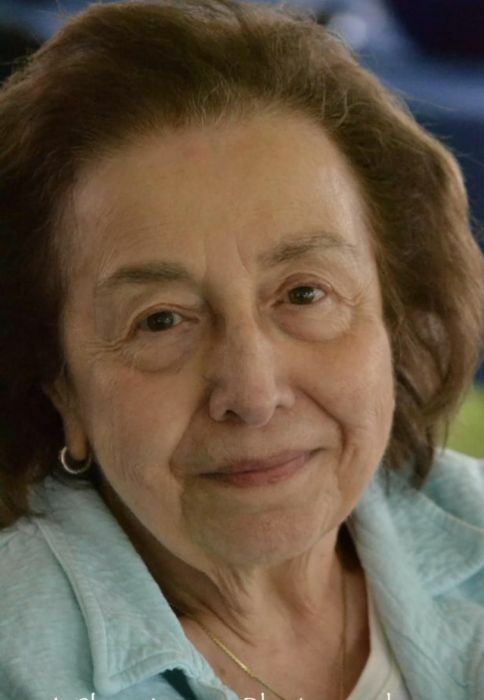 North Greenbush - Alice A Aprahamian Khachadourian, 88, of East Avenue North Greenbush died Friday, September 14, 2018, at Van Rensselaer Manor after a brief illness. Born in Troy, she was daughter of the late David Aprahamian and Eliza Malkonian Aprahamian. She had resided in the Troy area all her life and was a graduate of Troy High School class of 1947 and Mildred Elley. Mrs. Khachadourian was a stenographer for GMAC in Albany for 30 years, retiring in 1985. She was an active member of the Holy Cross Armenian Apostolic Church in Troy and of its Ladies Guild. She also served on the Church’s Board of Trustees and was a member of the National Armenian Ladies Guild. Her faith and her church were so very important to her. Survivors include a daughter - Linda (Nicholas) Furnari, Rensselaer; two sisters, Lucy Kabalian, Schenectady and Mary Minassian, Slingerlands; two grandchildren, Eliza and Nicholas P. Furnari; a step granddaughter, Alexandria Furnari and several nieces, nephews and cousins. Relatives and friends may call at the Holy Cross Armenian Apostolic Church 255 Spring Avenue Troy on Monday, September 17, 2018 from 1-2 PM with a funeral service at 2:00 PM. In lieu of flowers contributions may be made in memory of Alice A Khachadourian to Holy Cross Armenian Apostolic Church 255 Spring Avenue Troy, NY 12180.